Macmillan Children’s Books has acquired a new children’s title by Man Booker Prize-winner Roddy Doyle. The title, Brilliant, is set in Doyle’s native Dublin, and the publisher described it as “a short, allegorical ‘quest’ novel”, with elements of magic realism. Editor-at-large Polly Nolan bought English language rights in the UK and Commonwealth, and translation rights worldwide, in the book from John Sutton of John Sutton Management in Dublin. MCB will publish a hardback and e-book in the UK and a trade paperback in the Irish market in May 2014, with a paperback to follow in both markets five months later. Doyle’s most recent children’s book, A Greyhound of a Girl (Marion Lloyd Books), is currently on the shortlist for the CILIP Carnegie Medal. via Roddy Doyle moves to Macmillan Children's | The Bookseller. 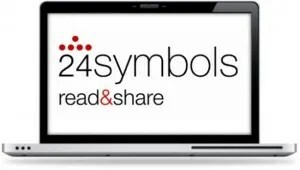 Some of the frustration surrounding ebook lending and digital borrowing may be getting a little help, as Spanish company 24symbols announced today that it has partnered with mobile device company Zed for global distribution. Described as the Netflix of books, 24symbols allows users to read content from a wide variety of publishers on internet-based computers and devices, alleviating much of the concern over piracy since no content is downloaded. Publishers are paid per page view of the book, allowing them to feel confident that their interests and the interests of their authors will be met. 24symbols also supports a social reading experience, allowing users to find friends and compare books, comment on each others’ titles, and more. Now, mobile device company Zed has signed on with 24symbols to increase global use of the platform; the agreement also gives Zed a 32% ownership of the company. Zed has a customer base of over 400 million users through its agreements with more than 200 service providers and carriers. via 24Symbols Subscription-Based eBook Reading Gets a Boost from Zed | Good E-Reader – eBooks, Publishing and Comic News. Following on from successful international summits focusing on Big Data, Digital Strategy and Digital Analytics, IE. – Innovation Enterprise are delighted to introduce the Digital Publishing Innovation Summit where over 300 delegates will discuss topics such as: Digital Publishing with HTML5, Mobile Content and Commerce and Winning eBook Strategies. Covering the topics which matter most to senior level management this is a must attend event for professionals working in online content strategy, ebook development and publishing platform innovation. In addition to over thirty keynote presentations, delegates will also benefit from interactive breakout sessions, over twenty hours of networking opportunities as well as on-demand access to presentations post summit via the IE. – Innovation Enterprise Membership Channel. via NY Times, The Huffington Post and Harvard Business Review Discuss the Future of Publishing at the Digital Publishing Innovation Summit, New York, July 17 & 18 – Times Union. The Irish Independent, in association with Dunnes Stores, is giving away a collection of six Collins Classic Children’s books. The page-turners include ‘The Wonderful Wizard of Oz’, ‘Pinocchio’, ‘Heidi’, ‘Just So Stories’ and ‘The Call of the Wild’. Geoff Lyons, group marketing manager at Independent Newspapers Ltd, said: "We are delighted to be bringing the joy of reading to our younger readers nationwide. We hope that families around the country enjoy this enchanting collection." Readers are simply required to buy the Irish Independent at any participating Dunnes Stores outlet tomorrow to get the third book in the collection, ‘Pinocchio’. The free giveaway applies while stocks last and one book will be given per purchase of a newspaper. One book will be given away each week until Saturday, June 1, 2013.
via Get your free collection of six classic books – Independent.ie. When he’s not printing photos for others or passing along his know-how to students, Kaplan uses his money and time for his own passion: the documentation of New York city. 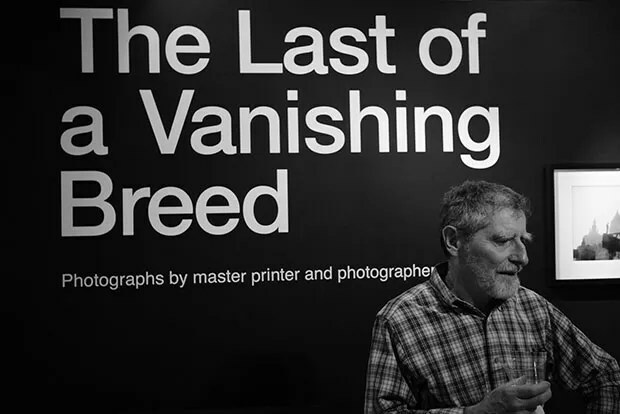 One of the subjects he focuses on is documenting sights in New York City that will soon be lost to history. Things that will soon be changed, whether torn down or built up. His photos offer a beautiful documentation of life in The Big Apple over the past half century. via Sid Kaplan: Legendary Darkroom Printer and Quiet Master Photographer. Last week, Barnes & Noble slashed the price of its original Nook Model from £79 to £29 in a bid to win market share in the UK. The very low price point beats competitors at Amazon and Kobo by £20-30. At the same time, B&N partnered with the London Evening Standard’s Get London Reading campaign and donated 1,000 e-readers to the national literacy charity Beanstalk. B&N launched its range of Nook e-readers in the UK last September through partner retailers, followed by an advertising campaign in the run-up to Christmas. Retailers which stock Nook products are Foyles, Blackwell’s, John Lewis, Argos, Sainsbury’s and Asda. via Cut-price Nook sells out after ‘unprecedented’ demand | The Bookseller. 1. Saving work to the Documents apps and using share to iTunes to make a copy from Digital Roadtrip on Vimeo. Printing student’s work in Progress from iPads to a folder on your laptop. If your students are not writing into a virtual space from their iPads, for example a blog, wiki or shared app like Evernote, you will struggle to monitor their progress. So here is an awesomely nifty way of capturing evidence of “work in progress”. The joy of this is that all the files neatly arrive in one folder on computer. If the learners label the files as you have them named in your mark book, you will have an instant overview of who has handed work in. via 8 iPads in the classroom | #8iPads. The way forward is to remove the barriers between teenage fiction and the classics, to acknowledge that both have their role in encouraging reading for pleasure, and that those roles may overlap. The national curriculum today gives great leeway in choosing the books that are to be studied, but what that tends to mean is that the selection now falls not to examiners or ministers, nor to pupils, but to their teachers. To make the most of these freedoms, teachers need to know about teenage writing. They must seize on the work of a new generation of writers for teenagers as a priceless teaching resource. Sadly, the Times Education Supplement’s recent survey of teachers’ top 100 books suggests that their knowledge of new writing is patchy. To Kill a Mockingbird and Of Mice and Men remain the unimaginative staple diet for many. This is where school librarians need to come to the curriculum’s rescue. As schools’ resident book experts, school librarians have never been so important as they will be in the next 18 months, as teachers look for support in finding the books that will teach the new curriculum. The resources we have to inspire young people’s reading are greater and more profound than ever before. If we make the most of them, the results will be extraordinary for individuals and for society. And for the disadvantaged young people the NLT works with, reading is no less than a lifeline. via The importance of instilling a need to read – Telegraph. via Jacqueline Wilson: ‘Spelling is not something that seems to be taught at schools’ – Education News – Education – The Independent. Adobe has been on a mission over the last year to better understand where digital publishing is headed. As well as working with publishers using its Digital Publishing Suite (DPS) to push out tablet editions, Adobe has been meeting with these partners to get a feel of the state of tablet publishing. Now, 12 months later, Adobe has compiled the results of its research that should be of particular interest to magazine publishers, advertising agencies and media ad buyers. via Why the outlook for tablet magazines is getting better | TabTimes.